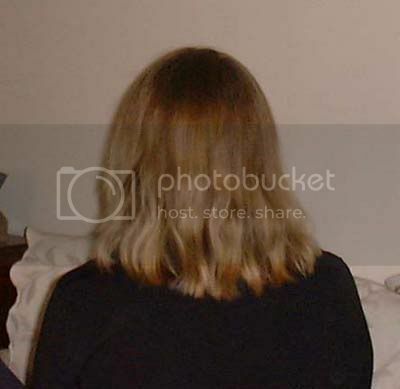 LongLocks Salon › Hair Types › Oh So Fine › Question!-Please help! I used to use a hot iron on my hair every single day to get it straight. Not only is my hair thin, and already damaged but it looks terrible if I don't do anything to it. I'm trying to get it in better condition by not using any heating appliances on it whatsoever, not even a blow dryer. I'm really trying to take better care of it.... BUT, I cant stand not doing anything to my hair when I go out... It just looks bad.. I bought a pack of sponge rollers to sleep in. Are they bad for your hair? Do they cause your hair to break off or fall out while sleeping? Any suggestions on styling hair without using heat appliances? Personally, I'm a fan of updo's, preferably when paired with custom made hairtoys. But if I don't have time to create an updo, I'll either just leave my hair down with a side part, or grab a few barrettes or bobby pins and just pin the sides up. A pretty, thin headband can also work in a pinch (so long as it's hair safe and has no teeth on the bottom). If you're skilled with braiding, then a French braid might work. Or, depending on the activity, you could just try a really great hat. Also, using pure aloe vera gel (with no added colours or pain killers in it) as you would use regular hair gel might help to make the damage less obvious. Sponge rollers are not necessarily bad for your hair. Make sure you don't roll you hair too tight on them - you don't want to stretch the hair when rolling it, so be extra careful if rolling wet or damp hair. If you are going to sleep on the rollers, put a satin scarf or bonnet over the rollers. This will help prevent damage while you sleep. I like to do an updo but leave a lot of tendrils at the hairline on the front sides from temple to just in front of the ear and also at the hairline from behind the ears to the nape of the neck, and then roll just the damp tendrils on smooth plastic rollers and let air dry. Aloe vera gel will give these curls more definition and staying power. I think sponge rollers would work just fine if not wound too tightly like BB said. This gives me a softer style that I like and it can look good in any situation from casual to very formal. A cinnamon bun works the best for me, either high or low, but I have done this with a French twist and had it turn out nicely, especially with hair sticks. Since my hair is so fine and slippery, I sometimes reinforce my updo with a few hairpins before putting in my hairsticks, then carefully insert the hairstix so that I don't scratch them. Hope this helps some! I also love hats with this style and nice earrings. Feminine silky high-necked halter tops look nice with this as do soft floaty dresses but it looks great with jeans, too.